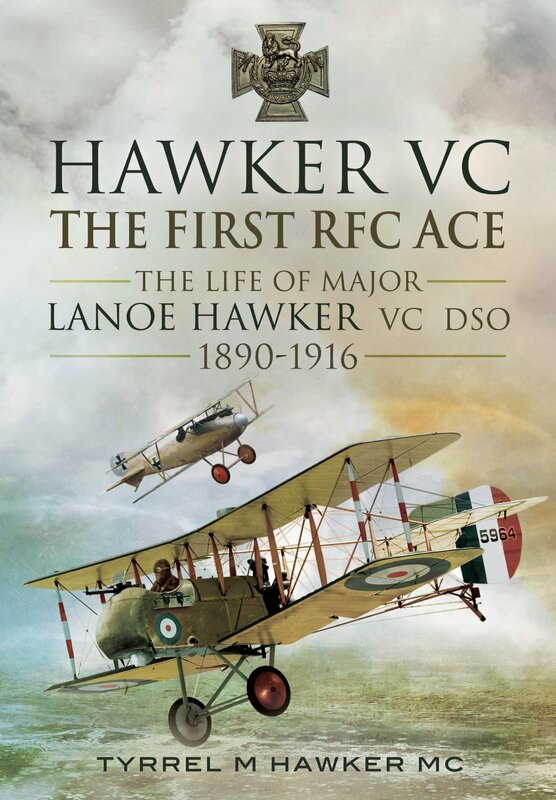 Lanoe Hawker accomplished a great deal in his 26 years. Awarded both the Distinguished Service Order and Victoria Cross, prolific inventor, and commander of an RFC squadron, he was eventually shot down by the Red Baron in 1916. From a military family, it was no surprise that Lanoe joined the services, enlisting with the Royal Engineers in 1910. However a childhood fascination with the emerging field of flying meant that he also joined the Royal Aero Club the same year, and passed his flying test 1913. When war broke out he was instructed to report to the Central Flying School. Hawker was sent overseas on 7th October 1914, flying his first reconnaissance mission over Belgium the following day. Up until 1915 his sorties mainly revolved around observation, artillery ranging, and photography. But he was a fearlessly aggressive pilot and experimented with a number of rudimentary weapons to try and better his opponents in the skies. In April 1915 he was selected to carry out a bombing raid on a zeppelin shed, for which he was awarded the DSO. Hawker was witness to the German advance during Second Ypres. His task was to ascertain the depth of the German advance. To determine exactly who was holding different positions, Hawker would fly low over the trenches to see who fired at him. Almost inevitably he was wounded by a bullet fired from the ground, but continued with his reconnaissance. Although under no illusion as to the dangers he faced, he steadfastly ensured he carried out his vital work. Driving off German planes was difficult with only a rifle to use, particularly when flying solo. On being given a Bristol Scout, Hawker devised a mounting for a Lewis gun. In fact he was a prolific inventor during the war, coming up with ideas for shelter for aeroplanes, clothing for the pilots, training apparatus, ring sights, and extended magazines for Lewis Guns amongst others. Hawker was awarded his Victoria Cross in July 1915 for the feat of driving off three German planes. In the ensuing weeks he shot down several more. In October 1915 he assumed command of no.24 squadron, a scout squadron formed to counter the dominance of the new German Fokker monoplane. He quickly became an admired and respected leader. However, in November 1916, whilst flying in the Somme region, he was shot down by the Red Baron, Manfred von Richthofen, after a lengthy dogfight. The book was written by Hawker’s brother Tyrrel, who also served during the war. In addition to the added personal dimension this brings to the book, it is also means he is was able to draw on other records such as Lanoe’s letters and diaries to paint a picture of his life in the RFC. This biography was first published in 1965, the foreword and introduction both written by Lanoe’s contemporaries who had fought with him in the skies over France and Belgium. At times Tyrrel Hawker’s prose is quite gushing about his older brother, although most of his praise does seem well-placed and offers an insight into Lanoe’s life that only a close family member could offer. Lanoe was undeniably placed under a great deal of stress by the demands placed upon him, and the loss of any of his pilots affected him deeply. The book highlights what a dangerous profession this infant arm of the services could be. Through the text one gets a glimpse not only of the man but also the development of air warfare and the growth of the RFC during the First World War. This review first appeared on The History Vault.